So these are from a visit on July 29th (was sick, then travelling, then sick again… really. Stupid recirculated airplane air. ), so the menu at Alo might have completely changed in the meantime, but we were so taken with Chef Patrick Kriss’ lovely new spot at Queen and Spadina that I couldn’t just leave these photos sitting on my hard drive. 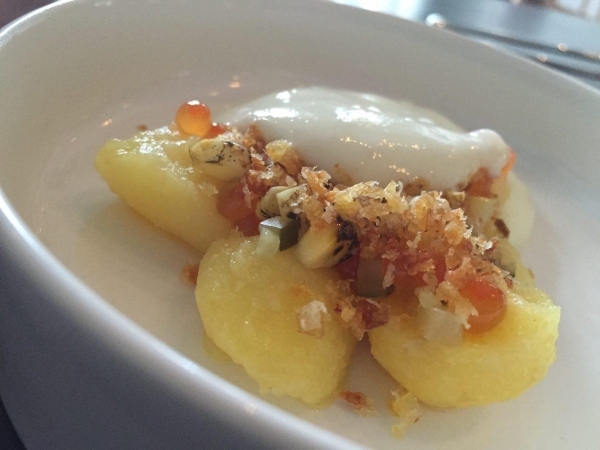 In a city where the dining scene has become a rush to line up for the opening of the latest burger joint, it is really refreshing to see someone doing refined cuisine. 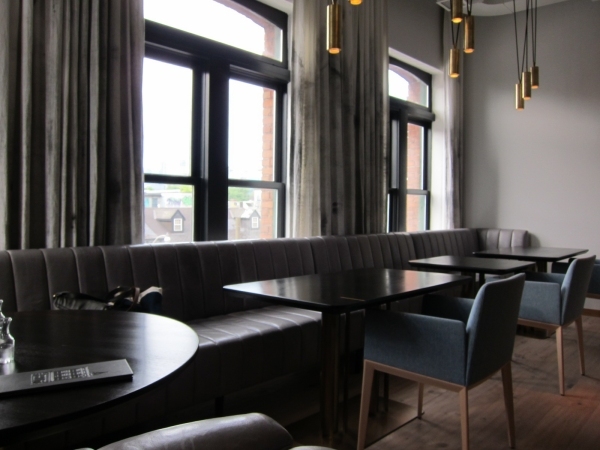 French food doesn’t have to be stuffy and Kriss and general manager Amanda Bradley have created a spot that is both welcoming and comfortable. There are no white table clothes, but we did get lots of cutlery. 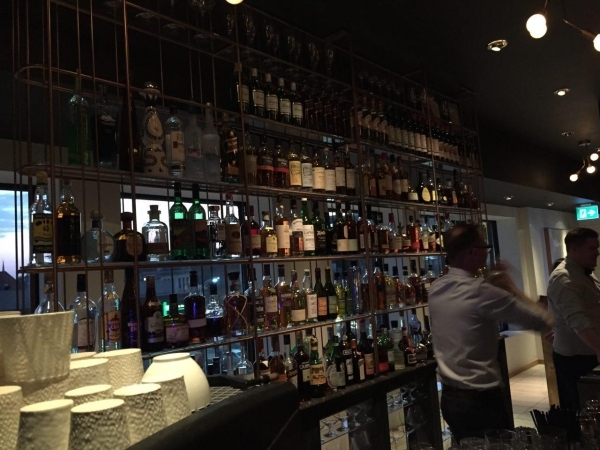 While the food and service were sheer perfection, professionally executed without being overbearing, both Kriss and Bradley keep a keen eye out for any issues. They both noticed me smelling my hands after a trip to the washroom (scented soap in restaurants is one of my biggest peeves), and put out some unscented soap to accommodate me. And while the room got busier as the evening progressed, an earlier reservation (on a sunny day) means getting to experience the room as it lights up with a beautiful pinkish glow as the sun sets to the west and shines through the row of windows looking down onto Spadina. The menu is 4 courses with 2 options at each course, plus plenty of amuse bouche, pre-desserts and fun things in between. 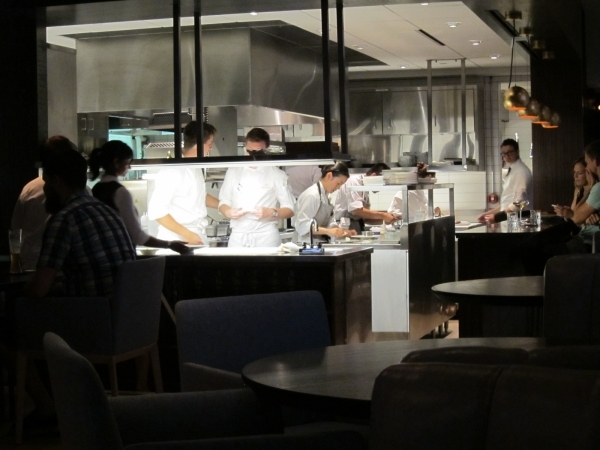 Fabulous food, fabulous room, can’t wait to go back. 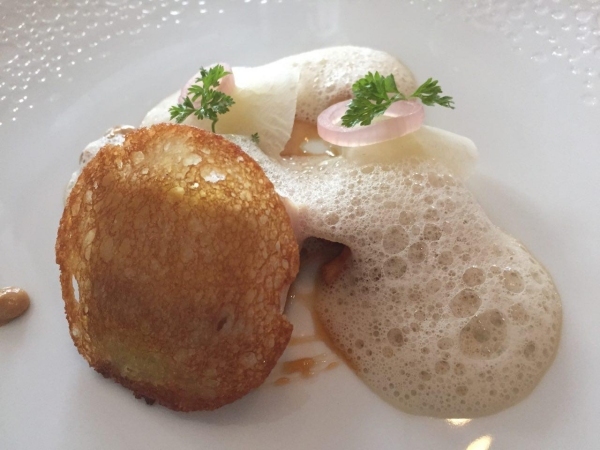 Shown above: Lameque oyster, watercress, salsify, cultured cream. The front windows, overlooking Queen Street West. 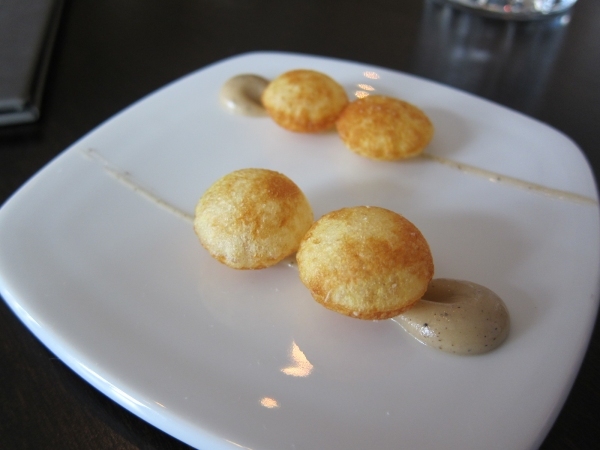 Amuse #1 – pommes souffle on a black pepper aioli. 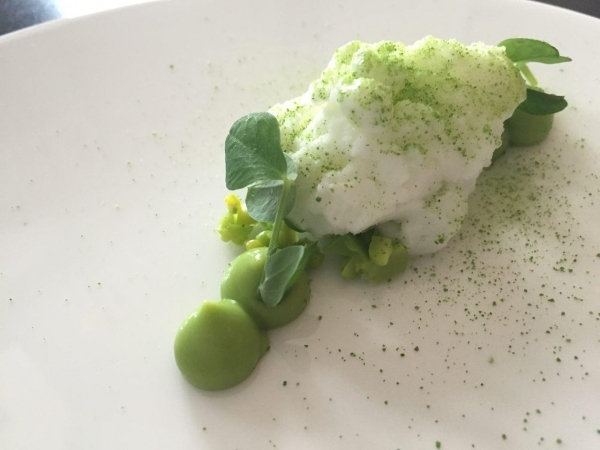 Amuse #2 – pea puree, buttermilk sorbet and dehydrated pea. 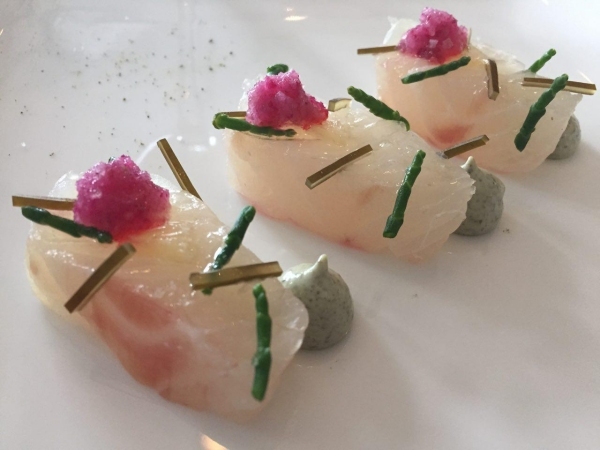 Japanese sea bream with samphire, kombu and yuzu kosho. 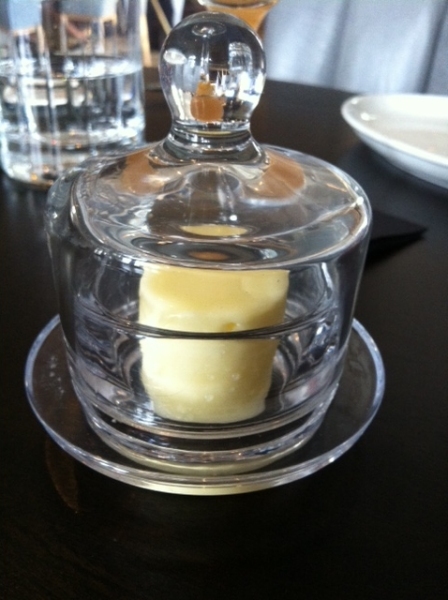 A bell jar of house made butter. Not a votive candle. 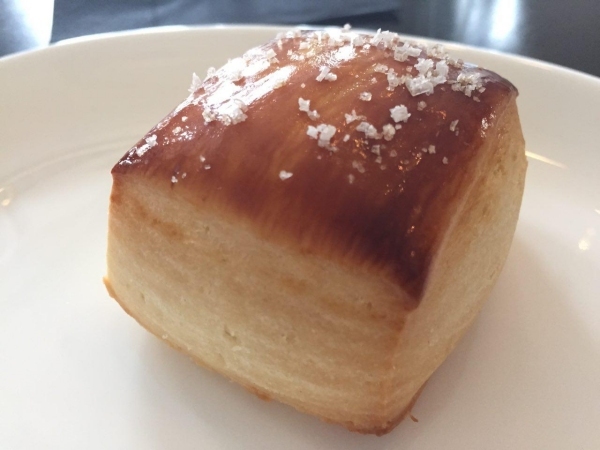 To go with the butter – melt in your mouth biscuits. Quebec fois gras, cockscomb, veal trotter and king oyster – served in a spaceship. 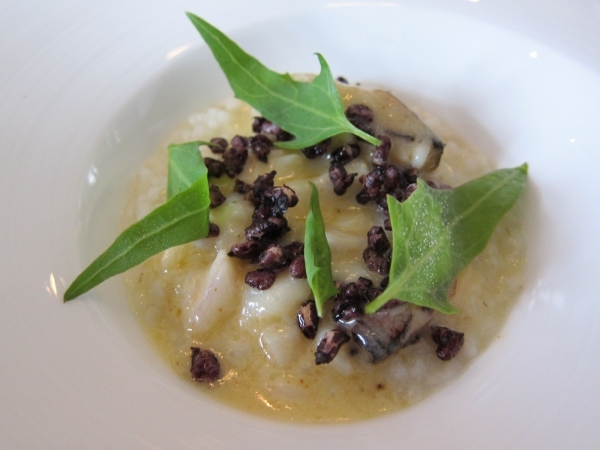 Carolina gold rice, Dungeness crab, sea spinach and lime. Hamachi, chanterelles, ad kohlrabi with sherry vinegar. Linzer potatoes, salmon roe, bonito. 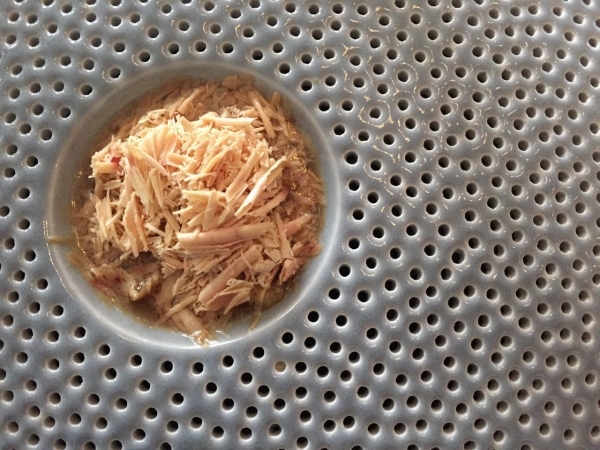 Like a fancy latke with smoked salmon. 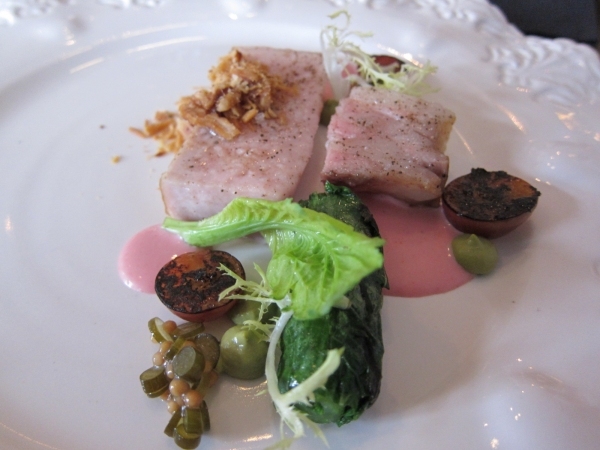 Yorkshire rack of pork, mustard greens, grapes and walnuts. 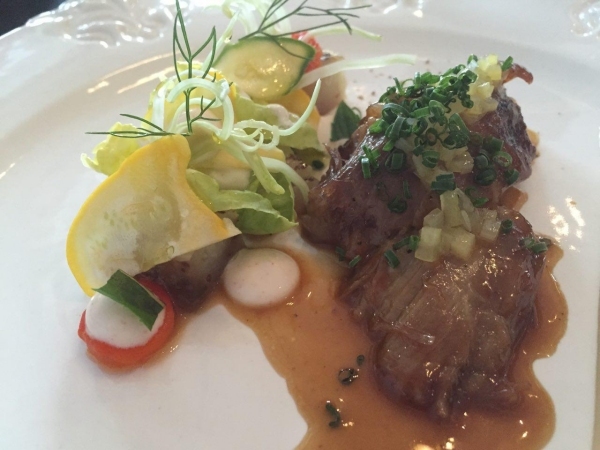 Dorset lamb shoulder, gem lettuce, squash. 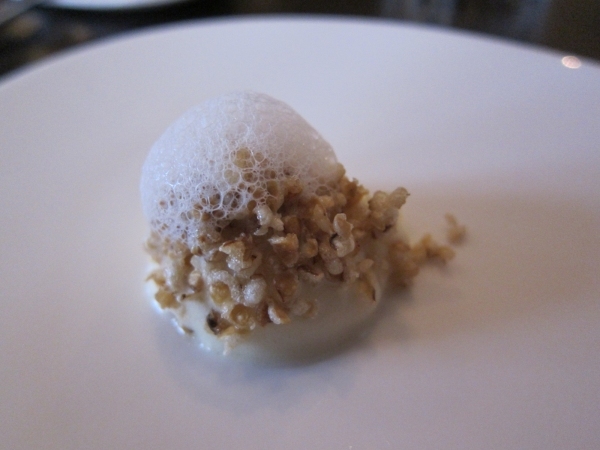 Pre-dessert – diced plum with toasted bulgar, almond foam and plum sorbet. 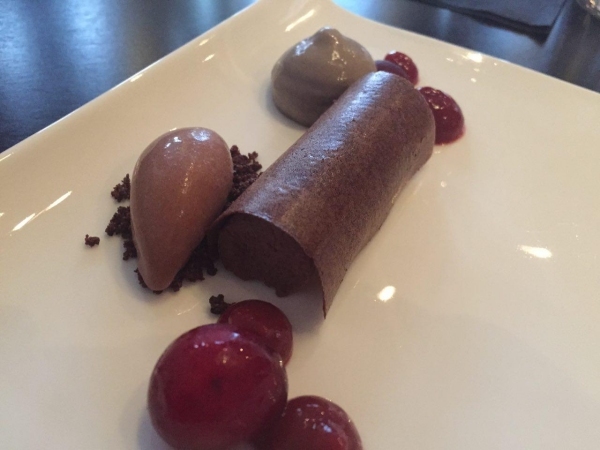 Dark chocolate ganache with tuile, sesame, Spumante dessert cherries. 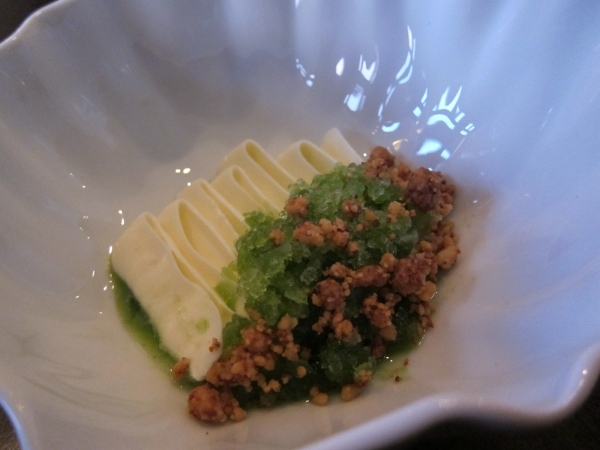 White chocolate cream with cucumber granita and white chocolate crumble. 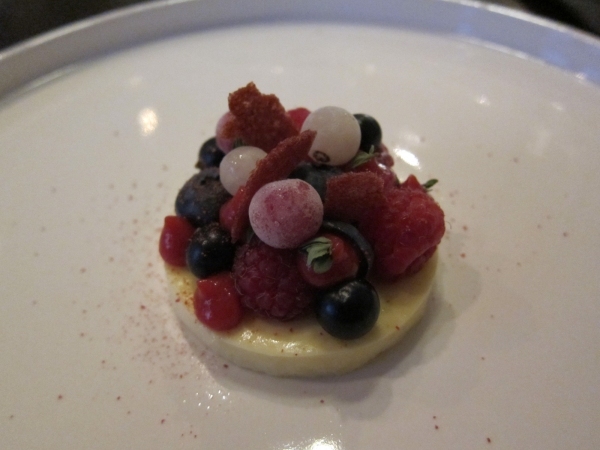 Post-dessert – honey cream with Ontario berries and lemon thyme. Not up for all the courses? There’s a swank bar with its own snack menu.